Whitsunday Anglican School’s Kindergarten Program has experienced positive changes in 2018. From January this year, eligible families have been able to access the Child Care Rebate (CCR) which has reduced the annual cost of the program for the majority of families. 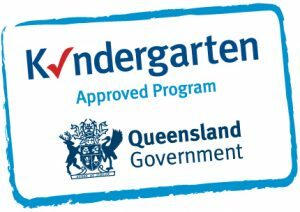 Kindergarten aged children will also have access to optional school holiday care with flexible booking arrangements available. At the Whitsunday Anglican School (WAS) Kindergarten, we value parent and community involvement. We believe that children learn best in environments where there are supportive relationships amongst all partners in the learning community. We are committed to providing the best possible program and education for each individual and believe that all children develop in unique and different ways. As a result, we follow a routine that is flexible and is subject to change as we strive to respond to the children’s needs and respond to their interests. The WAS Kindergarten understands the importance of play as it provides the children with opportunities for success. Children who experience success are more likely to not only want to repeat the experience but to take on more challenges. Play encourages children to explore their environment, make discoveries, and to consolidate their learning through hands-on experience. It is valuable in teaching children how to relate to their peers in a social setting as they learn the skills of sharing, waiting, cooperating and listening to others. Literacy and numeracy are integrated into our curriculum through play, stories, songs, games and general discussion at mat time. Children are also introduced to technology through using classroom iPads and working with programmable floor robots called ‘Bee Bots’. The guidelines describe a set of five learning and developmental areas that relate to the five broad learning outcomes identified in the Early Years Learning Framework (EYLF). The guidelines are the basis of our program and aim to enrich children’s learning in kindergarten. The guidelines are based on the Early Years Learning Framework for Australia and embrace the inclusive vision that “all children experience learning that is engaging and builds success for life” (EYLF, 2009). Throughout Kindergarten, children’s right to experience the joy of childhood is fundamental and learning is promoted through play, and emergent and planned learning experiences and interactions. The guidelines acknowledge children as competent and capable learners, and the significant role adults play in optimising and enhancing children’s living and learning experiences. Adults and children share responsibility for the learning process through interaction, negotiation and collaboration. International studies have proven that children learn and thrive in a warm, caring play-based environment that includes parents in the learning process. We believe that children do not learn in isolation, it is a collaborative process. The guidelines acknowledge the important role adults (educators and parents), other children, and the physical environment play in children’s learning. Although these words may seem very grown-up for our Kindergarten children, the You Can Do It! Early Childhood Program introduces each foundation at their level using character puppets, songs, stories and group discussions. This program focuses on helping children to develop their perceptual motor skills such as body image, balance, spatial awareness, hand-eye coordination, laterality, directionality and form discrimination through a variety of movement activities. The program runs throughout the second semester and requires parental assistance. The program operates from 8.15 am to 3.00 pm with a maximum of 22 children (3 to 5 years of age) in the five-day fortnight and five-day week groups. The available days of operation are in accordance with the days set down by WAS. Please be aware that kindergarten does not operate during student free days or public holidays. Parents are required to sign their children in each morning and out each afternoon using the provided iPad. This is a legal requirement. The teacher ensures that each child goes home with a parent or authorised person as stated in the School’s enrolment package. Please advise the teacher if another adult is collecting your child. If they are not already authorised, you will need to fill out an Additional Child Collection Authorisation Form which can be obtained from Kindergarten staff. The now authorised adult collecting your child will also be required to show some form of identification to Kindergarten staff before collecting your child. Before and After Kindergarten Care (BAKC) is a service run to extend the normal kindergarten hours and is complementary to the program. It is licensed and governed by the same national laws, regulations and kindergarten philosophy and policies. This service may be used on either a permanent or casual basis for any day your child attends the kindergarten. Parents are encouraged to use the service should they be unable to collect their child according to usual arrangements. Where possible, parents should speak to the staff in advance and prepare their child or contact the Junior School Office on (07) 4969 2038. Whitsunday Anglican School offers vacation care for your enrolled Kindergarten child. The program and hours for vacation care will operate from 7.30 am to 6.00pm.